Uptown Special is Ronson's most inventive and vibrant work to date. Taken as a whole, the album is inspired by his musical beginnings. As a teenager growing up in New York City in the early 90s, Ronson gravitated towards hip-hop, funk, soul and R&B. Those were the records he lugged around in boxes in the early days of his club DJ career and that scratchy, inspiring vinyl was what he returned to when creating the album. 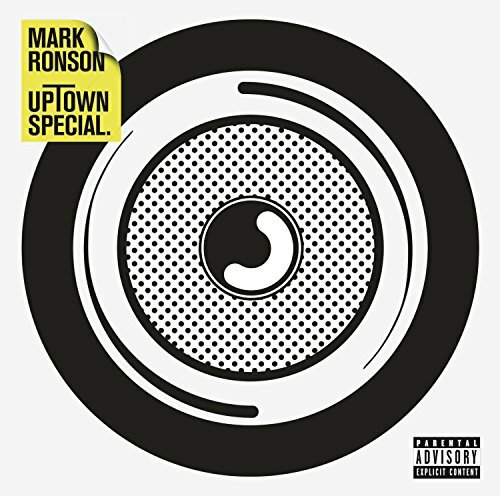 Uptown Special, Ronson's fourth album, was written and produced with GRAMMY® -winning producer Jeff Bhasker (Kanye West, Drake, Alicia Keys) over 18 months in studios in London, Memphis, Los Angeles and New York City. The majority of the album's lyrics although not the lead single with Mars - were written by Pulitzer-winning American novelist Michael Chabon. Ronson's favourite living author, Chabon became a part of the songwriting process early on and was fully immersed in the album's narrative creation, often working with Ronson and the vocalists in the recording studio. Featured album artists include: Bruno Mars, Mystikal, Tame Impala's Kevin Parker & more Uptown Funk featuring Bruno Mars, the first single off Ronson's album, was co-produced & co-written by the duo and is out now.